Trails Carolina is a wilderness treatment center for teenagers, adolescents, and youngsters who are struggling with behavioral issues and mental health. It is operated and owned by Graham Shannon house in Lake Toxaway, North Carolina. It uses a wilderness treatment program in order to solve issues like anxiety, depression, poor academic performance, trauma, self-esteem, substance abuse, and internet addiction. For the past ten years, Trails Carolina has been using a unique wilderness therapy to help children come back on the right track and restore their family units. 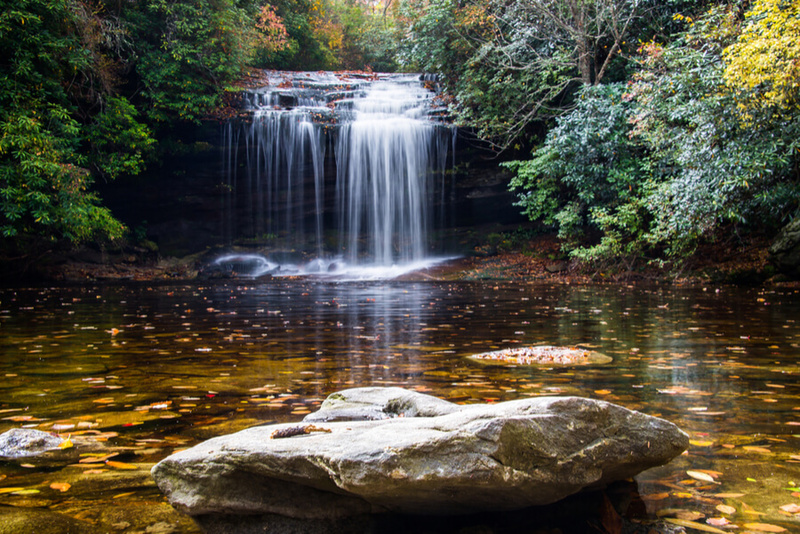 This wilderness setting in the Blue Ridge Mountains of North Carolina offers the perfect space to deal with the behavioral problems of children away from the distractions and chaos of the modern world. The multi-disciplinary team of Trails Carolina guides each and every child through an emotional, physical, and psychological path with their exceptional therapy in the wilderness. On the other hand, it also takes special care of the resident children’s education in a classroom-like setting with licensed teachers. Furthermore, parents are kept actively engaged with their children’s treatment programs through various ways like workshops, weekly calls, family reunification, and common ground. Hence, Trails Carolina combines education, therapy, wilderness, peer support, and family to build a better future for children. This wilderness center has been restoring the lives of children with the help of its inpatient services since 2008. Being situated amidst the Blue Ridge Mountains, it offers a serene and natural environment for clients’ recovery. Trails Carolina is situated on 500 acres of land with an academic and residential based campus. There are separate sleeping cabinets for both female and male clients including showers and comfortable beds. The campus also has a private lake with its very own waterfall that makes it even more beautiful. During the whole program, students are taken outside for the comprehensive wilderness open-air ventures like hiking and expeditions on mountains as high as 5,000 feet. Such activities make it quite a thrilling program in the wild. When it comes to food, Trail Carolina takes extra care. The meals provided at the center are tasty yet nutritious. Clients are served with delicious food in a beautiful lodge designed for eating out. If any resident has special requests due to dietary restrictions they can be accommodated ensuring clients suffering from allergies or other health problems are taken care of. On the other hand, students also get a culinary training here. Every letter in the name of Trails stands for various values. These include, T for Trust, R for Respect, A for Accountability, I for Integrity, L for Leadership, and S for Service. Trails Carolina is known for all these qualities. Through its comprehensive curriculum, it reinstates the lives of kids against mental health as well as behavioral issues. Its holistic approach to treatment includes family therapy, individual therapy, wilderness therapy, equine therapy, etc. Be it depression, stress, substance abuse, ADHD, academics, or grief, Trails Carolina provides a thrilling, powerful, and unique experience to children and their family. Graham Shannonhouse is the founder and executive director of Trails Carolina. Earlier, she has served as the executive director for a wilderness program based in NC. She resigned that position to open her own wilderness program, Trails Carolina. She has been involved in the field of wilderness therapy for more than 20 years. She serves as the clinical director at Trails Carolina. She has obtained her master’s degree in Social Work from Portland State University. She has worked with various outpatient agencies and in a wilderness boarding school before joining this wilderness facility. As a family clinical director, Jason McKeown leads the innovative family program at Trails Carolina. He is a licensed family and marriage therapist. He is even certified as a parenting educator. He is really passionate about wilderness therapy.